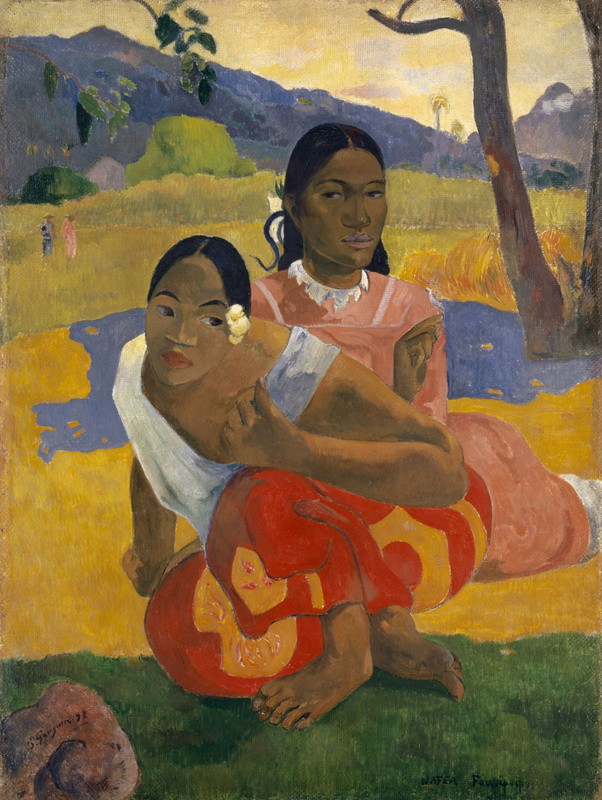 In February 2015, a painting by Paul Gauguin "When's the wedding?" (Nafea faa ipoipo?) 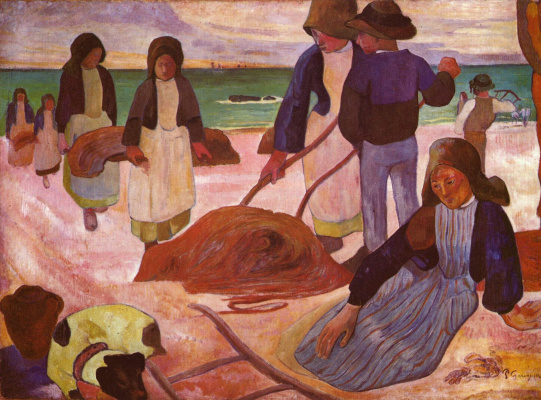 was sold for almost $ 300 million, becoming the most expensive in the history of the art and beating canvas of Cezanne "The card players" (which at the time set a record of 250 million). 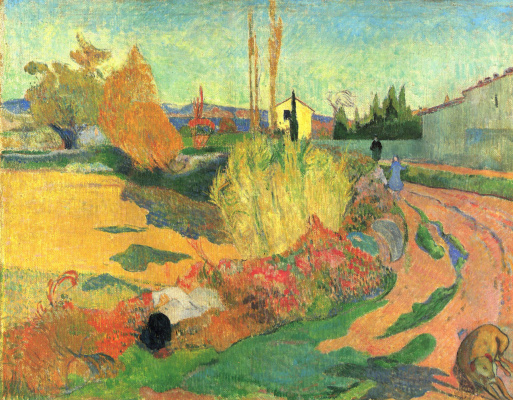 The previous owner of the painting Gauguin – Swiss collector Rudolf Staehelin is not reported, exactly who offered him a profitable deal. 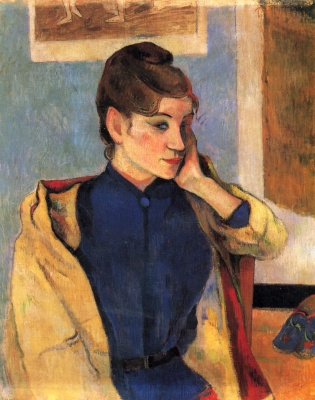 However, the art dealers argue that the work was sold to the Museum authority of Qatar, which owns the most expensive canvas of Cezanne. 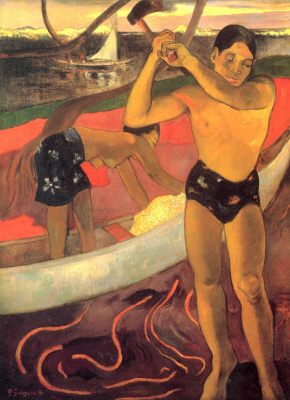 Gauguin, who became famous (after his death) due to the image of the beautiful young girls, created for his contemporaries and admirers of his art the romantic feel of an island Paradise. 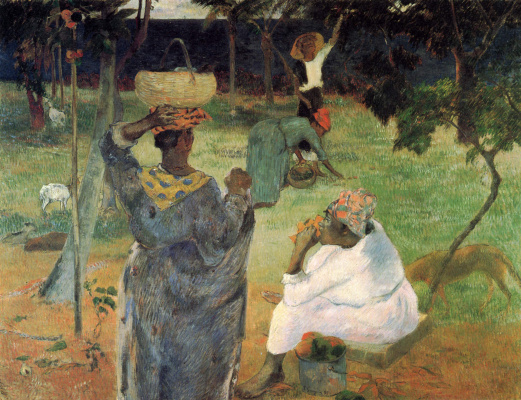 If you believe his paintings in Tahiti and did just that basking in the sun, enjoying the sweet fruit and I made love. Can only sigh about that now things are very different. 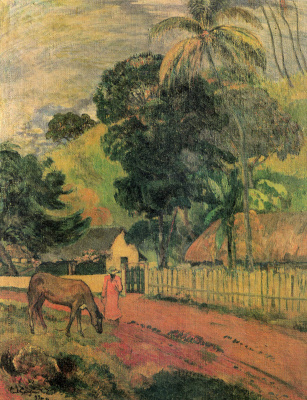 But in fact, Tahiti was very far from ideal in the late nineteenth century, when there came Gauguin. Of course, not without a romantic flair. Here are just young girls, manivshy the artist for their exotic beauty, changed lovers colonists, such as gloves, constantly demanding from them money and gifts, and in addition rewarding the "French disease." 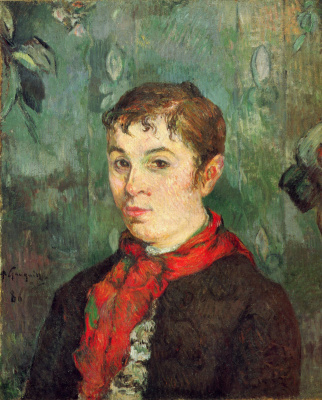 If this is the main character of this painting? Girl in traditional Tahitian attire as if frozen, waiting for something listening. In her hair above the ear is inserted the flower. 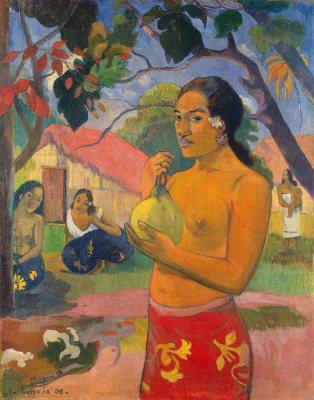 According to local tradition, thus a young Tahitian woman makes it clear that it is in search of a husband. Her face and figure are drawn rather schematically. Much more attention deserves a second character in the picture, which is very different from the girl in the foreground. 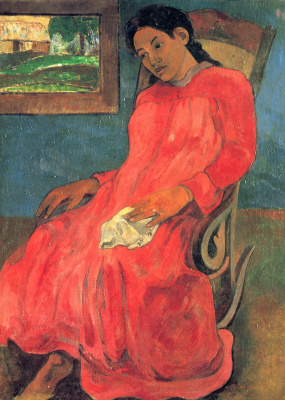 She is dressed in a European dress of pink (the only element on the canvas in this color), and a strict and wary facial features are spelled out much more carefully. 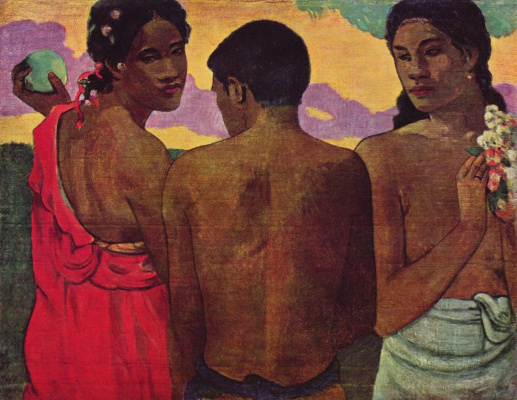 The girl's pose and her fingers folded into a kind of ritual wise, sent us (according to some scholars of Gauguin) to the Buddhist art. We can assume that she here plays the role of a defender, protecting, and Wake-up a young friend from this rash act. A bit distant and brooding face, the same girl can be found on the other picture "Woman with flower" (1891). Alternative titles: When's the wedding?